Honestly, I think this town should be named “Bookworm Village” since I’ve never been anywhere with so many book stores and outdoor book shelves with rock bottom priced books, all in such a small cluster. Even the place where we stopped for lunch had books shelves filled with books that customers could take for free!! The book lover community is strong in Hay On Wye, very strong. I’m sure people won’t mind a pricey cup cake in exchange for reasonably priced property lol! London’s prices are pretty insane really. Anyway, enough of London, let’s explore more of Wales…..
£1 each gasp!! Bear in mind some of these books were brand new!! These are probably collectors items – at bargain prices. 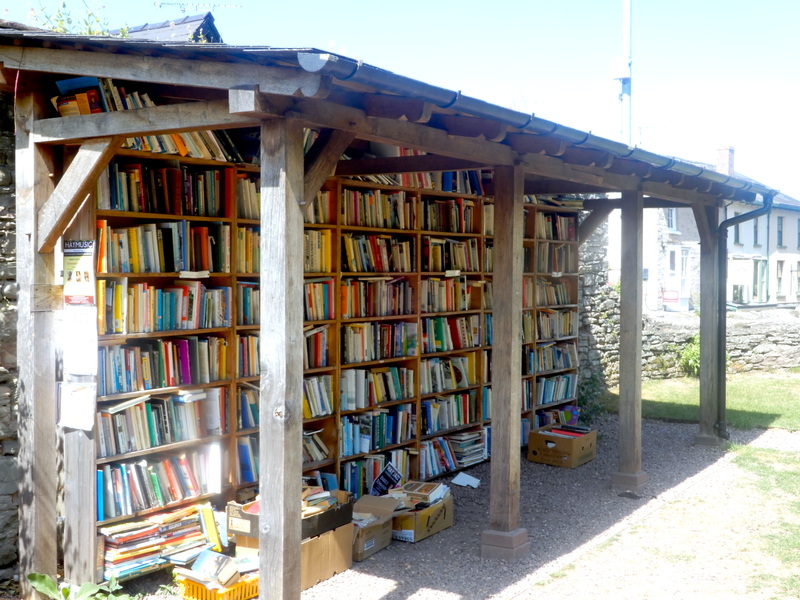 There were two of these walls of book shelves in this yard – absolutley booktastic! Hopefully any violators will be met with a hefty parking fine! Glad to see Hay on Wye is still going strong! Great post. It is in Powys by the way .